India is a country that has been known and recognized everywhere just because of its vibrant cultures and traditions. There are many special days and celebrations in the country that are the identity of Indian civilization and customs. Coming to the respect of relations in the country then definitely India is a place where relations are not respected they are worshipped too. Dedicated to all special relations there is a festival and the prominent one among all the relations is siblings bond which is cheered in India with auspicious festival of Raksha Bandhan. 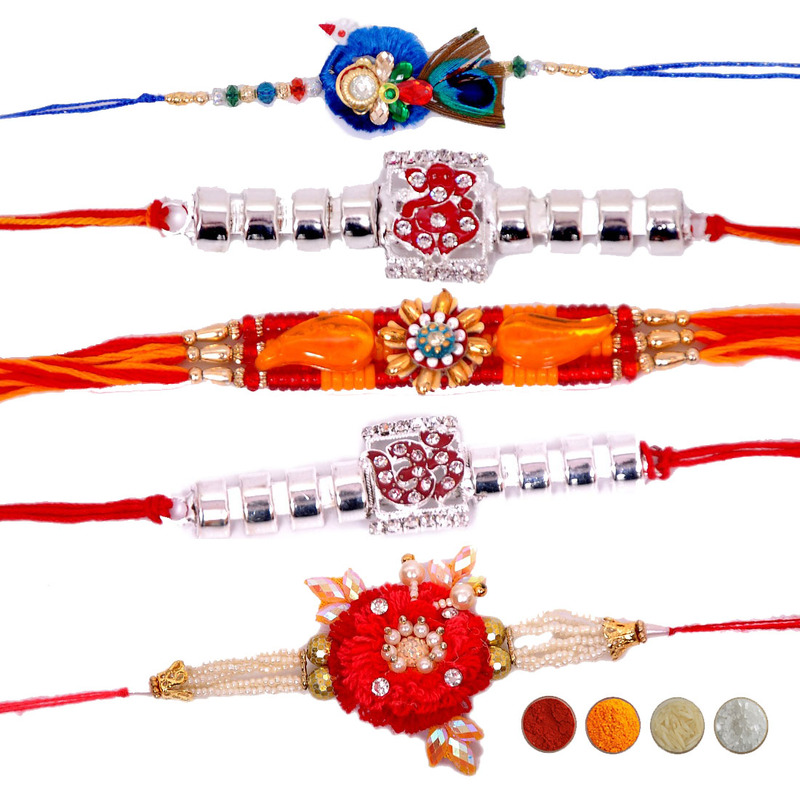 The festival of Raksha Bandhan has a deep significance in the life of brothers and sisters both. The commemoration of the day brings so much of joy and happiness with it. There are many beautiful customs that are followed to celebrate the day. One of such special customary action of Raksha Bandhan is tying of rakhi thread around brother’s hand by sister. Raksha Bandhan festival falls in the month of Shravana. Every year on the full moon day of this holy month followed by so many rituals, the beautiful festival is celebrated. The day starts with brothers and sisters taking bath and wearing traditional clothes. With this sister prepares puja thali with all the essentials required to fulfill the customs of the festival. Sweets and gifts are the other essentials of the festival which is well maintained by sister. 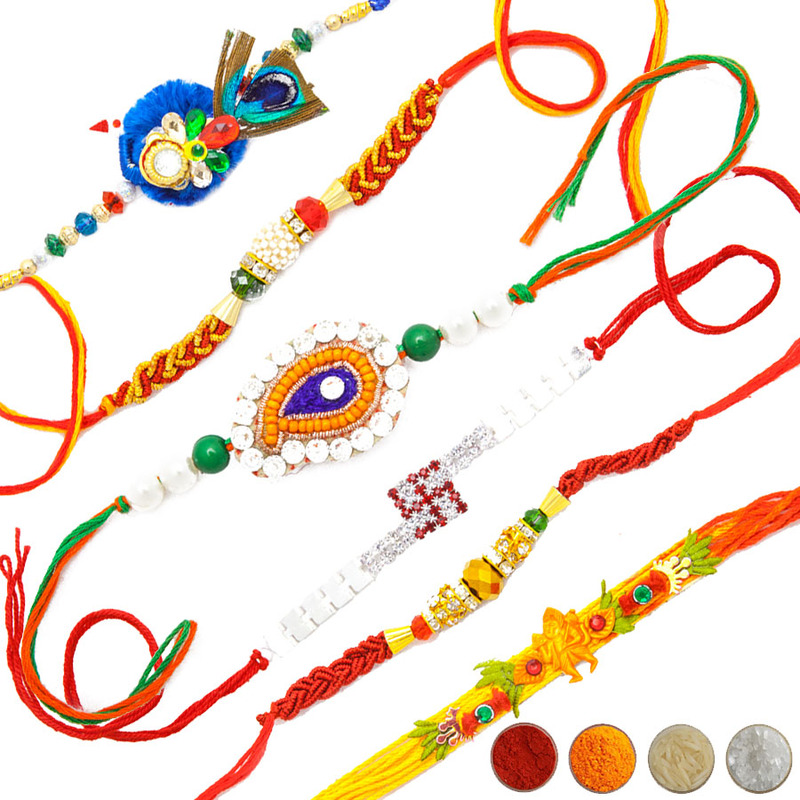 Rakhi is a traditional festival that helps us to connect with the roots of our customs. 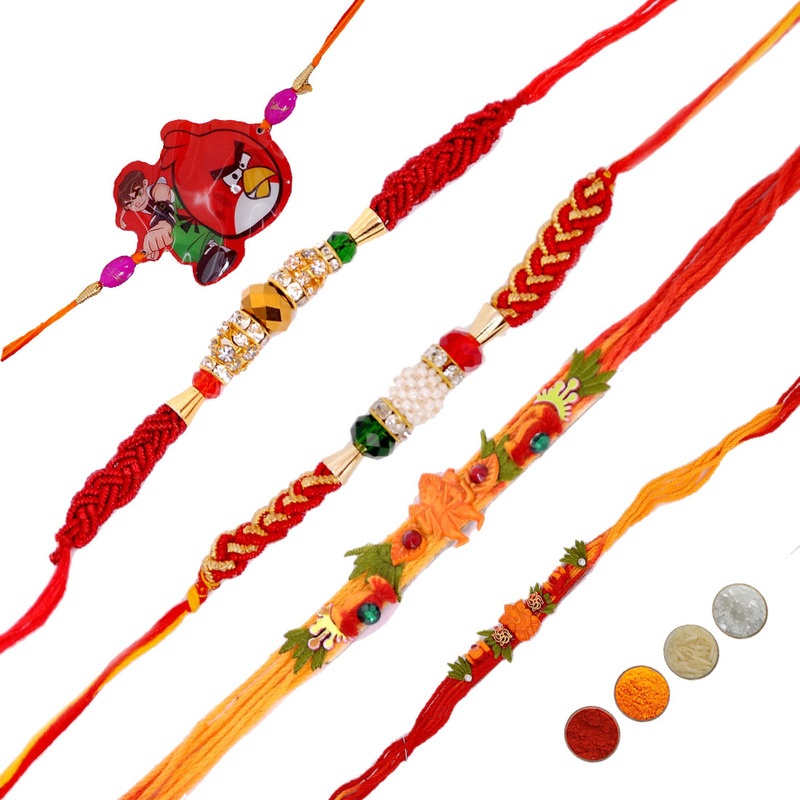 When going to the deep past of Raksha Bandhan celebration we would find that in ancient times when the custom of designer and fancy rakhi was not there mauli thread was used to complete the formalities of the holy festival celebration. 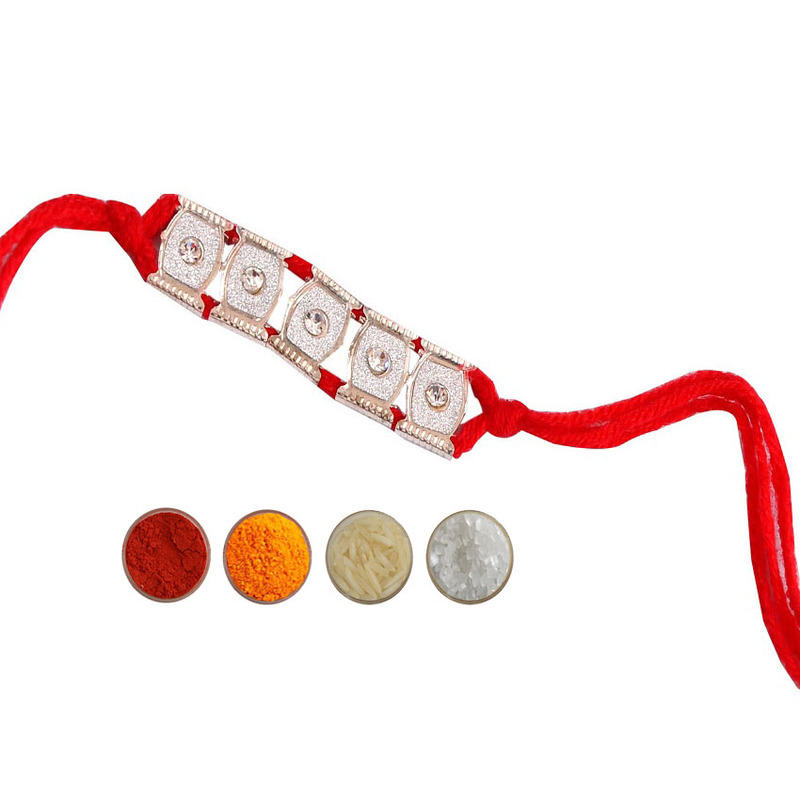 Mauli is an auspicious thread which is basically in red or yellow color or a mix of both. 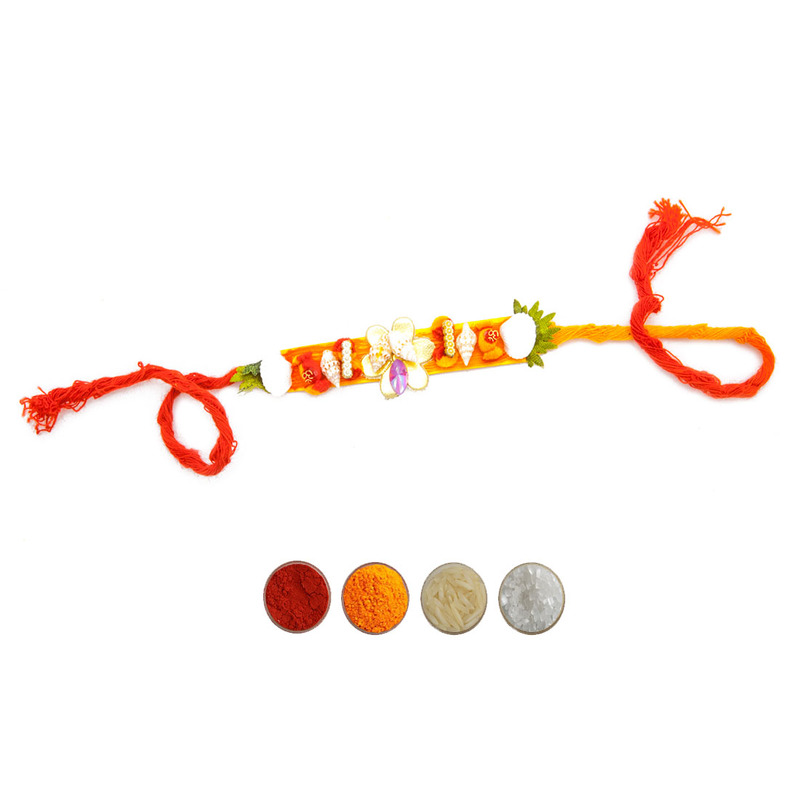 It is also termed as Raksha Sutra or the sacred thread that protects a person from evil forces. 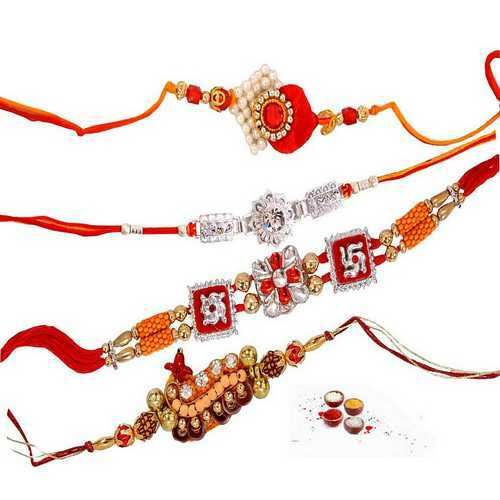 In the festival of Raksha Bandhan the concept of rakhi is also same as mauli thread which is tied around brother’s wrist to protect him from evil forces. 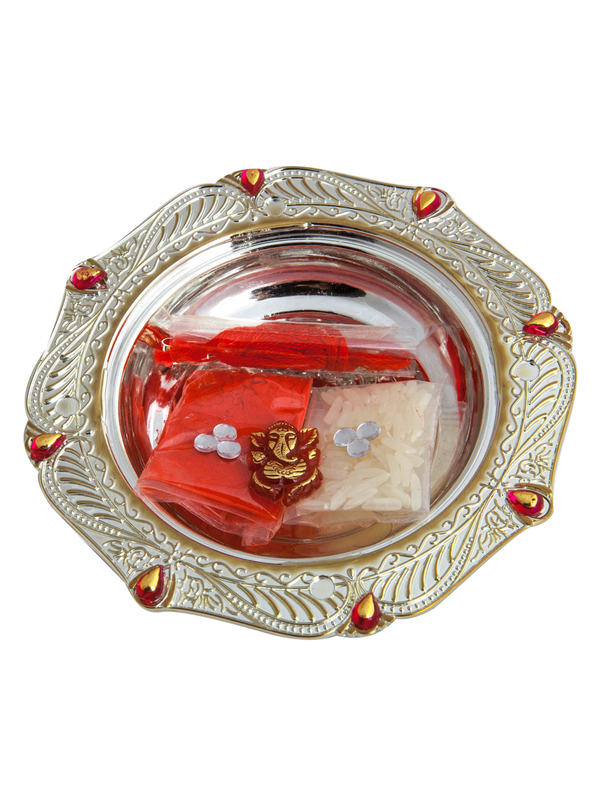 Hence using mauli inspite of rakhi worked perfectly well to complete the rituals of the day. 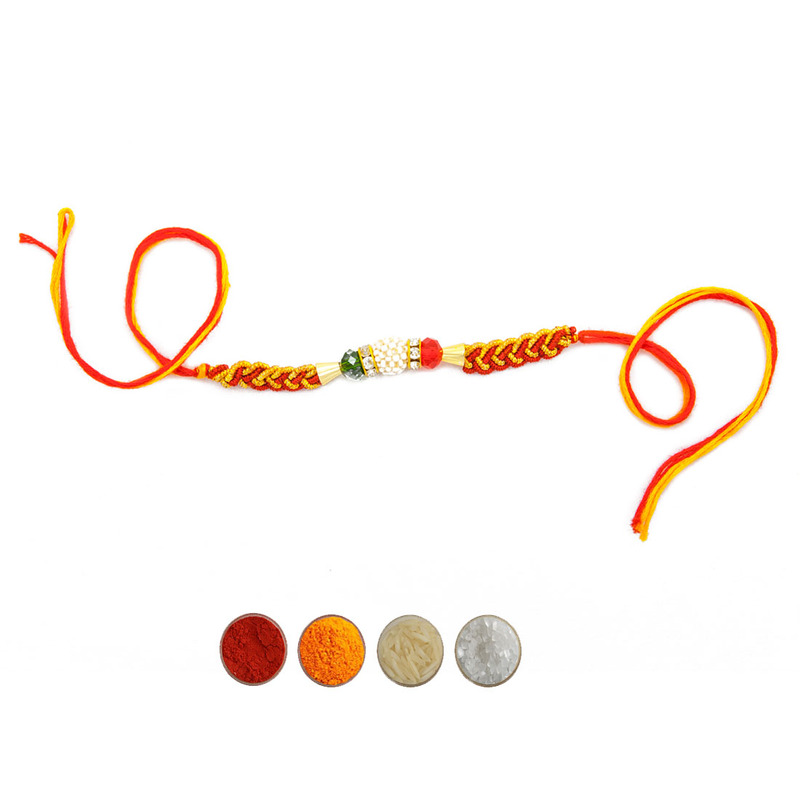 Now coming to mauli rakhi, then it is a sacred rakhi which is a perfect blend of designer rakhi and a sacred mauli thread. 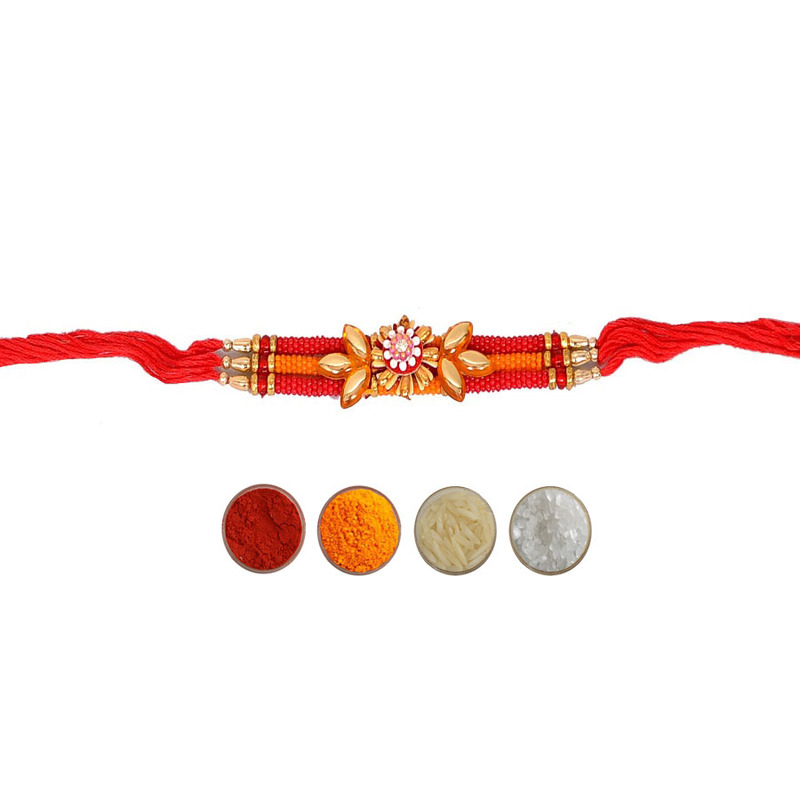 Mauli rakhi is one of the finest rakhi gifts that you can present to your dearest brother. 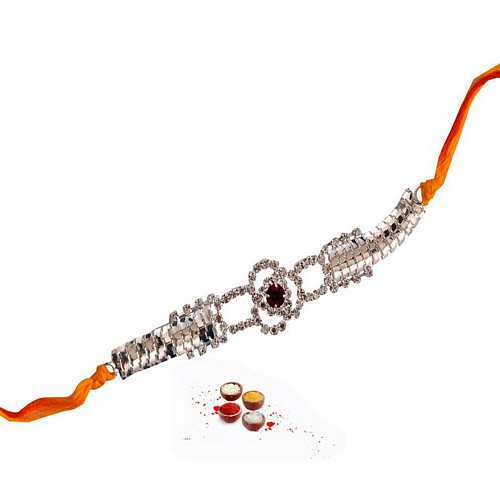 This rakhi not only works well to furnish the holy theme of the day, but the look of rakhi is also very pious which will be definitely liked and cherished by your bro. 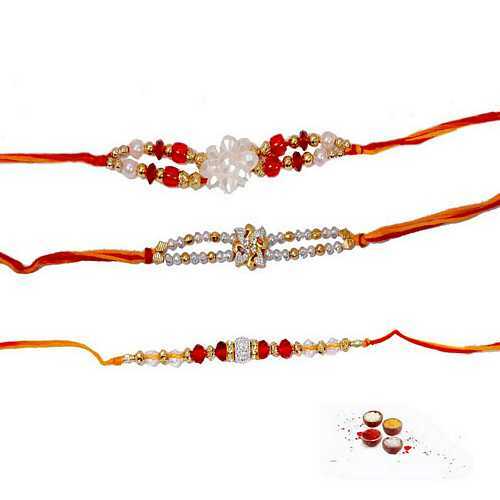 Sisters can send mauli rakhi online to India to various cities and towns like Delhi, Mumbai, Bangalore, Hyderabad, Chennai, Pune, Dehradun, Patna, Ranchi, Raipur, Jaipur, Jodhpur, Allahabad, Udaipur, Kanpur, Lucknow, Bhopal, Indore, Nashik and Chandigarh. 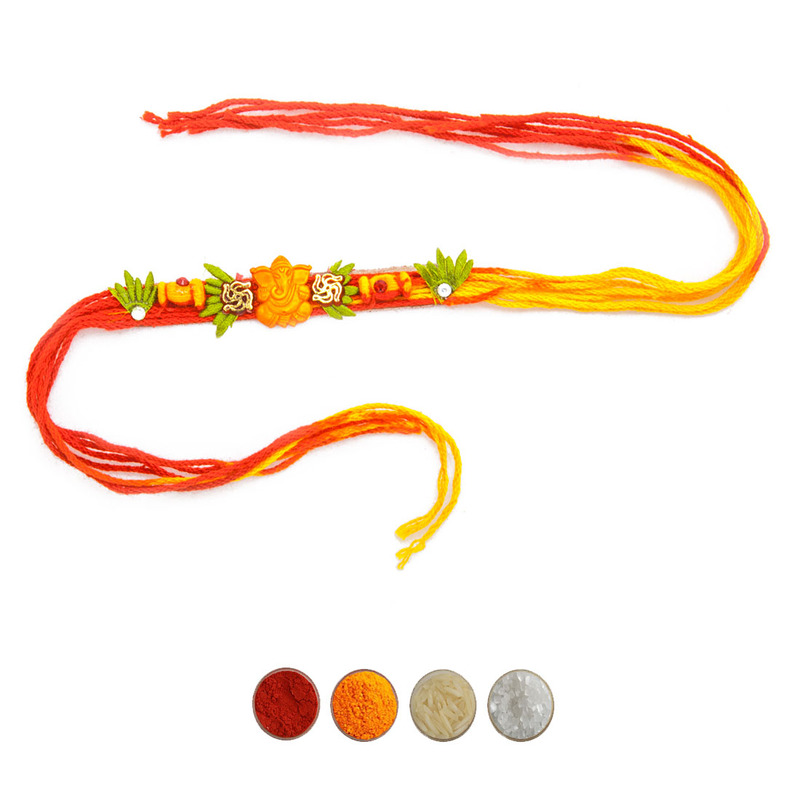 Mauli is a sacred thread in red and yellow colors used for different religious purposes. Traditionally it is tied by the priest post to the Pooja. It signifies a sense of holiness. 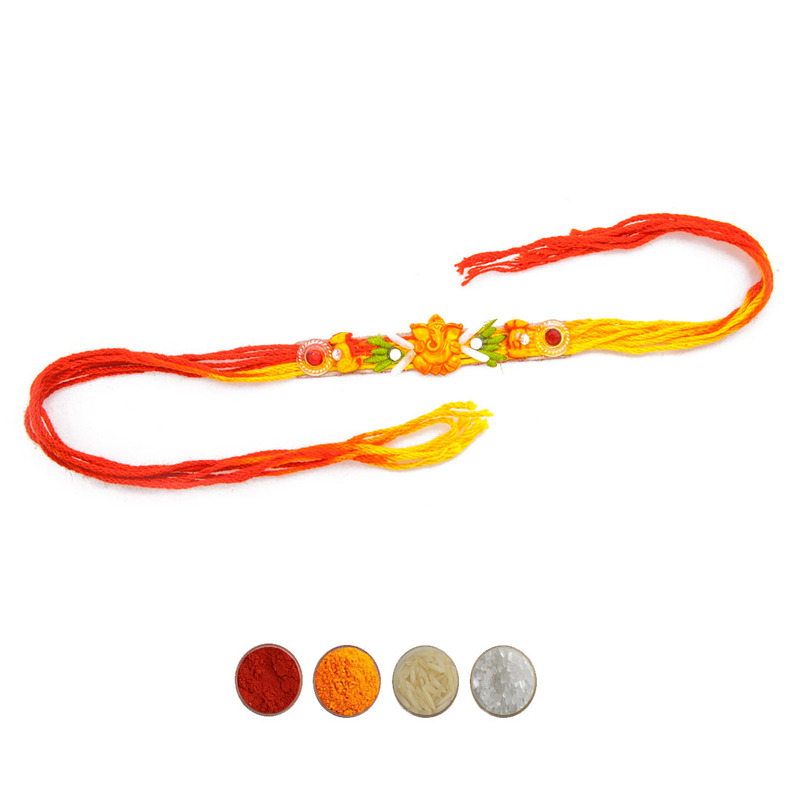 Made on similar lines, a mauli rakhi (a traditional kind of rakhi) can be perfect option for keeping the divine essence and traditional values of auspicious festival of Raksha Bandhan celebrated by siblings. 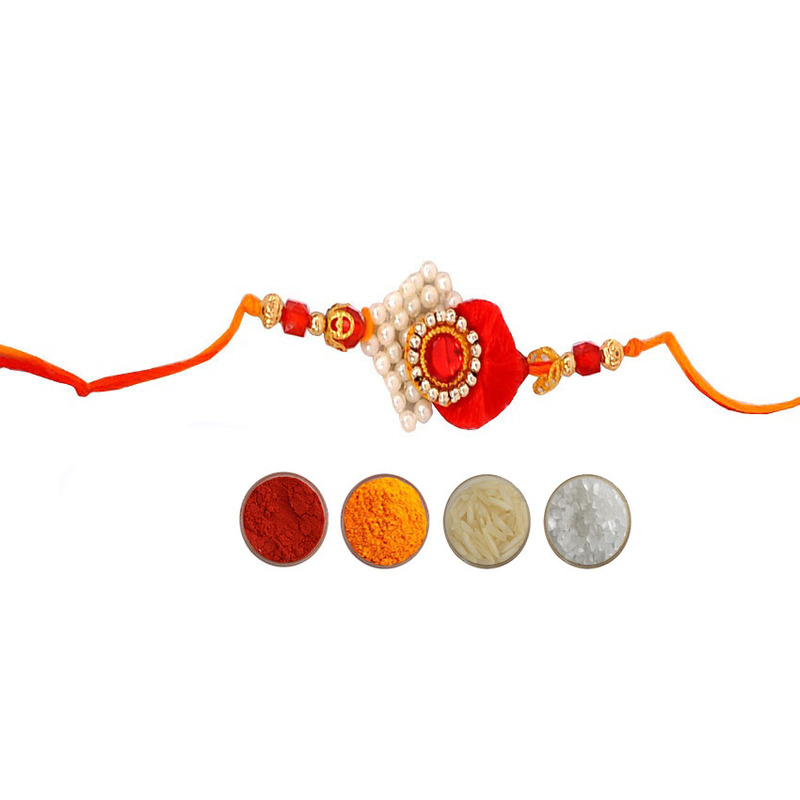 Our collection includes different varieties of mauli rakhis online. 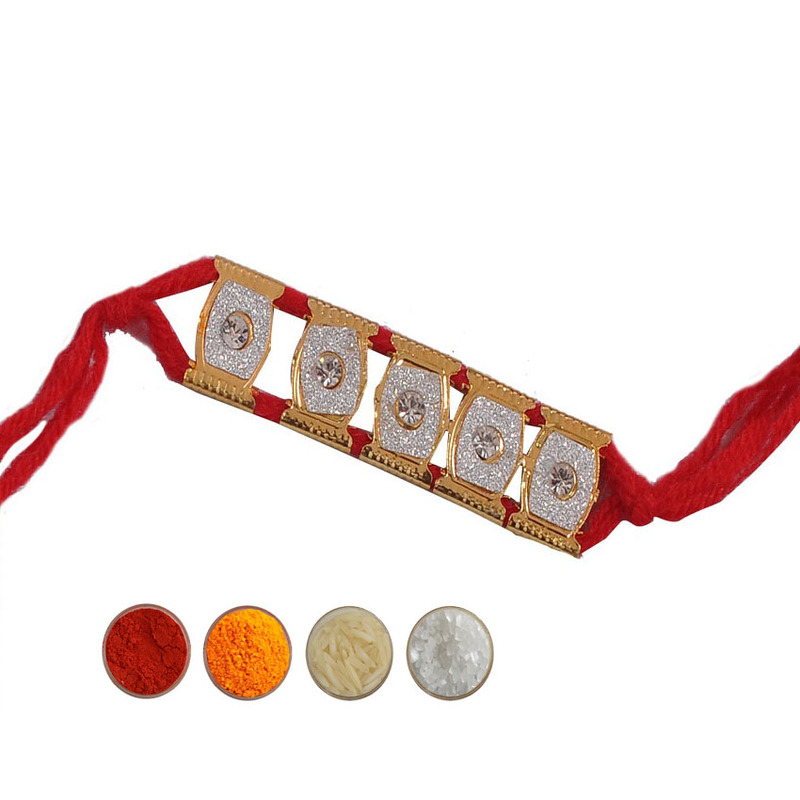 We are offering a collection of mauli rakhis in traditional designs and styles. 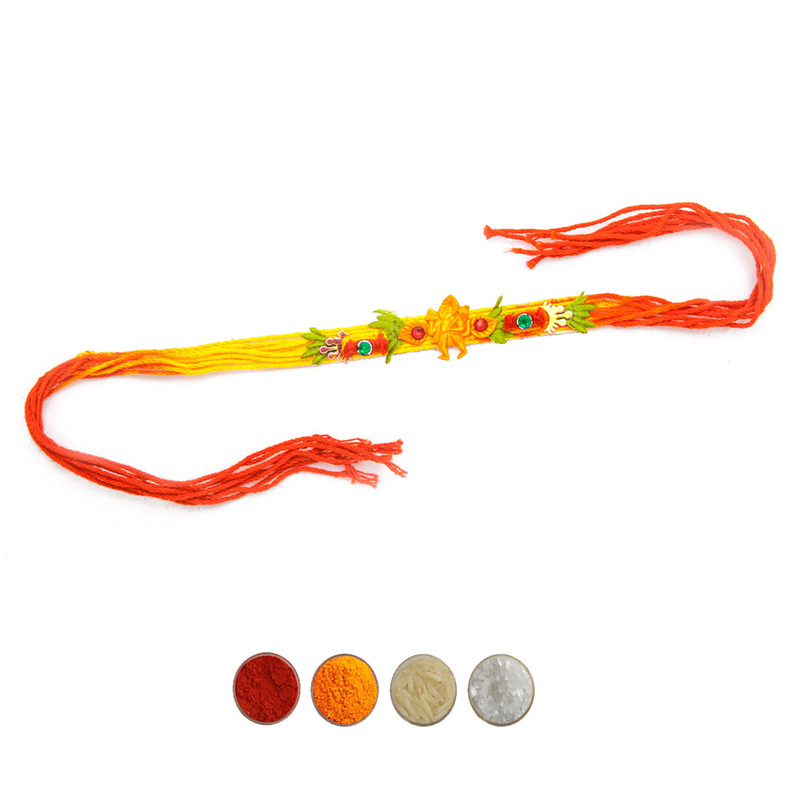 Buy mauli rakhi online or send mauli rakhi to India.